Walter Semkiw, MD, MPH and president of the Institute for the Integration of Science, Intuition and Spirit, specializes in reincarnation research. A medical professional with 20 years of experience, he chose to become involved in his current line of work after investigating his own past life. He has served in his current position for more than a decade. Dr. Semkiw completed a psychiatry residency at the University of Colorado, Denver, and an occupational medicine residency at the University of Illinois, Chicago. He also earned an MD and a Master of Public Health from the University of Illinois, Chicago. 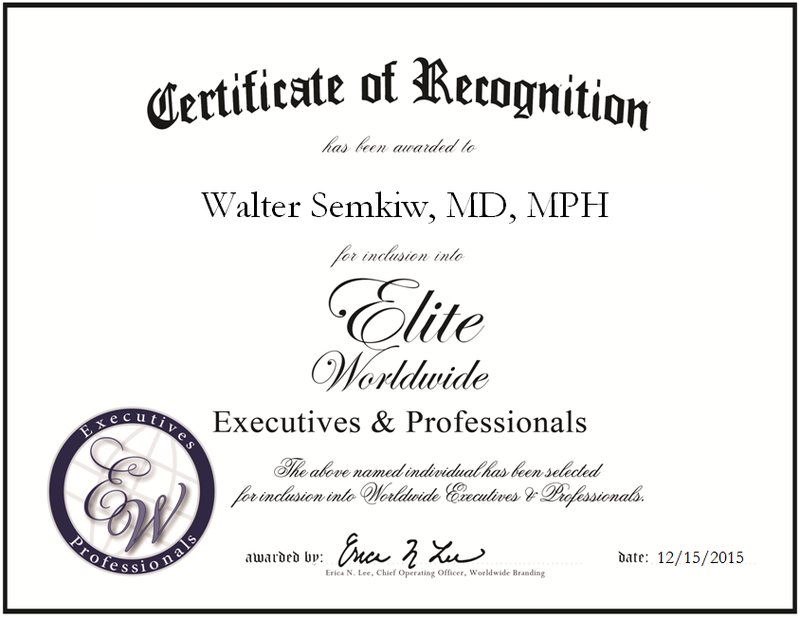 Dr. Semkiw is board certified in occupational medicine, and he is affiliated with the Society for Scientific Exploration. His current responsibilities include reviewing research that shows that souls can plan lifetimes and that loved ones can be reunited through reincarnation, and disseminating evidence of reincarnation. Dr. Semkiw is also responsible for enacting positive social change that evidence of past lives can bring, as well as independently researching reincarnation cases, particularly those published by the late Ian Stevenson, MD of the University of Virginia. He presents his findings at conferences, and plans to continue disseminating his findings on a worldwide basis in the coming years.